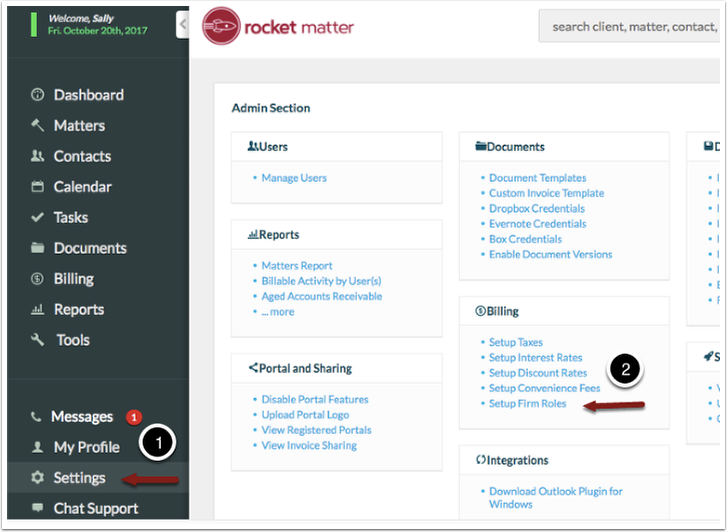 Rocket Matter Knowledge Base Custom RatesHow to create a firm role and apply a custom rate by client. Note: When a firm role is created, the rate will be applied for all matters created after this role was established and enabled. View our FAQ to change client rates for all existing matters in bulk. View our FAQ to change a client rate for a single matter. 1. Click on 'Settings' and select 'Setup Firm Roles'. 2. Click 'Add new role' or 'Add one now'. 3. 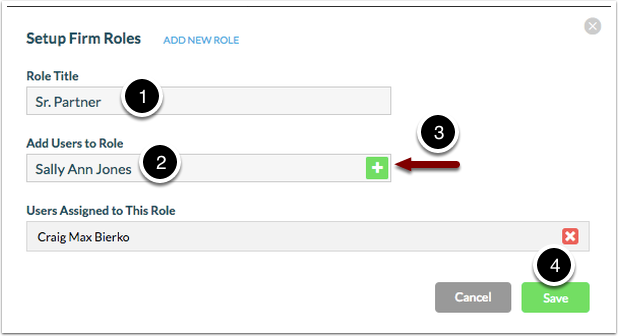 Insert the 'Role Title', all users of that role and click the green "+" sign to add. Click 'save'. 4. 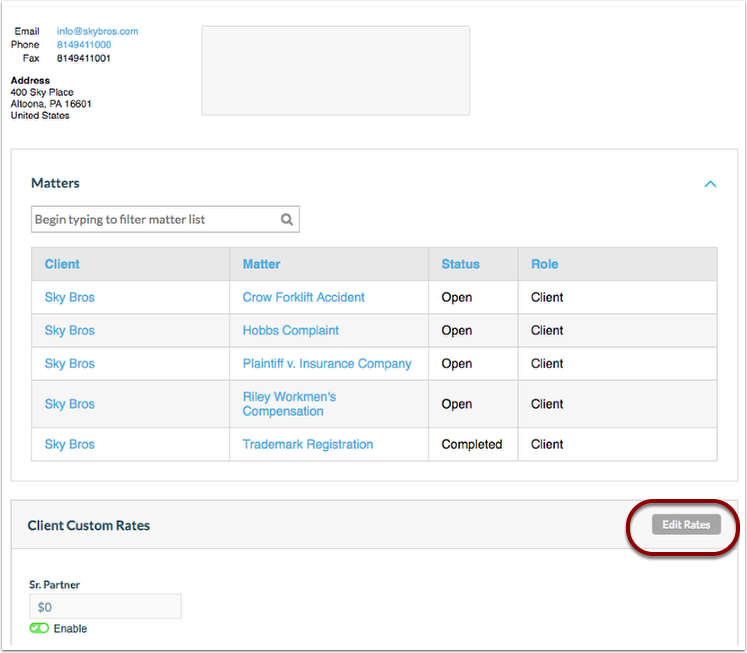 Navigate to the client's contact record and click 'Edit Rates'. 5. Insert the rate for this firm role for this client. Click 'enable' and 'save'. 6. Any users listed under the role of 'Sr. Partner' will be charged at the following rate for any future matters. Prev: How to add/edit custom rates in bulk. Next: How to create a document template.